November. Dark. Wet and windy forest. Water droplets fall from tree branches. There is a dried pine tree and woodpecker at its top. Tascam Dr-100 MK III, Azden mixer, primos. This is a fantastic recording. 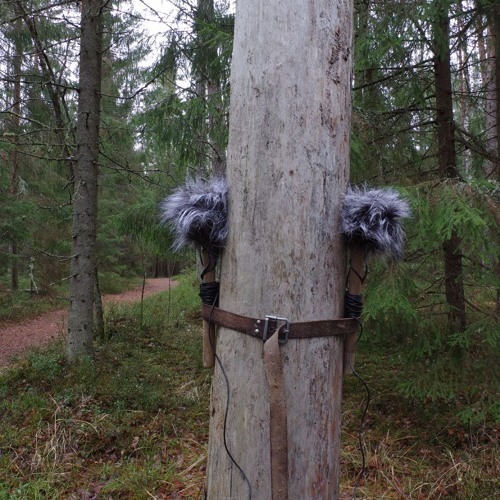 Listening with headphones, I am transported to the forest. And that woodpecker feels so close, almost as if I'm inside the tree. @estlander: Jah esmapilgul tundub, et hilissügiseses metsa helipildis ei toimu midagi, kuid seda enam teritub kõrv kuulama, et mis seal siis on. Very nice. I didn't know Woodpeckers would be tapping away at this time of year. Väga mõnus kuulamine nauditavate väikeste nüanssidega!